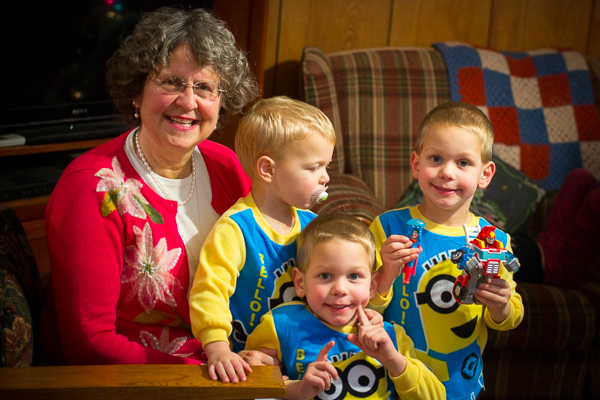 I have had the blessing of having our twin grandsons – aged 4 – the past few days at our house. 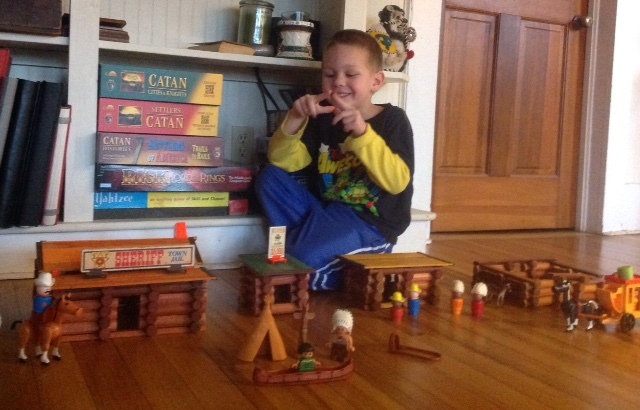 I got some Lincoln Logs down from the attic yesterday and we have been building cabins for each of the boys and for various Little People. I like to build. I like to have all the pieces fit and the roof stay on even when “people” are going in and out. I also like the various shades of these old Lincoln Logs to match. I know, that is way over the top! The boys could care less about the log color – but I did find out they care about the roof color! We used all the longer log sections and ended up with four buildings and a “stable” for the horses. There were bunches of singlets left. You know – those log pieces with just one slot. These are important for building windows and doors, but our Lincoln Logs are parts of three yard sale sets and there are LOTS of singlets. One of the boys tried to build these little logs into towers – but the most he could stack that would stay up independently were three. There was not enough of a foundation to hold any more logs. Relationships are like building with Lincoln Logs. You need a good foundation to have a secure structure – a structure that will withstand the pressure of use. The time to start building the secure foundation in a relationship begins with the birth of a child. in other words – ceases being a child! That will be TOO LATE. Children will build the foundation of meaningful relationships with others if the parents don’t take the time to do so. I have heard many adults lament the fact that their children or grandchildren never want to spend time with them as teenagers or young adults. Did those adults spend time building the foundation of a good relationship early on when the child was young? Children will go through times of rebellion. It is natural for children to pull away from the adults in their lives as they grow older. Yet if there is a strong foundation – a bridge of respect will allow the child and the parent or grandparent to bear the weight of that challenge to the relationship. I heard this Scripture shared yesterday as a key to building respectful relationships with our children. Those three words from verse 12 hold a key to building a secure foundation in our relationships with our children and grandchildren. May we all take the time and effort needed – with God’s grace – to build those strong foundations based on the LOVE and GRACE that our Heavenly Father has so lavishly shared with us! I said this yesterday when it was 50 degrees outside and the weather forecast said we would get 1-3 inches. Well, I see it and I believe it. I measured 6 inches with a yard stick an hour ago and it is still coming down. I love snow. I love the quiet whiteness. I love the definition that the snow gives to the trees as it clings to branches. I love to sled. 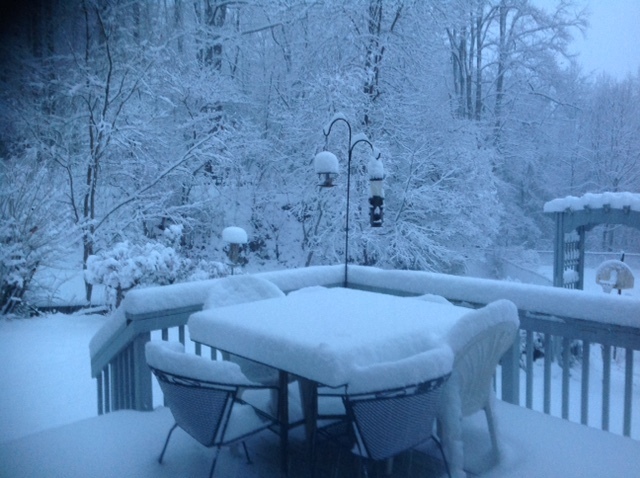 Websters Dictionary defines “white” as “free from color, color of new snow.” There you have it – white as snow. In looking at the snow falling just now, it made me think of the verses in Psalms 51. The world around us is covered in a blanket of purest white, all the mud and mess is covered and everything looks pure and new. God wants to create that fresh newness in each of us! He wants to cover our mess (sin) with the washing power of His Word. Ephesians 5:26 to make her (the Church) holy and clean, washed by the cleansing of God’s word. God also says in verse 12 – He wants to restore to us the JOY of our salvation. 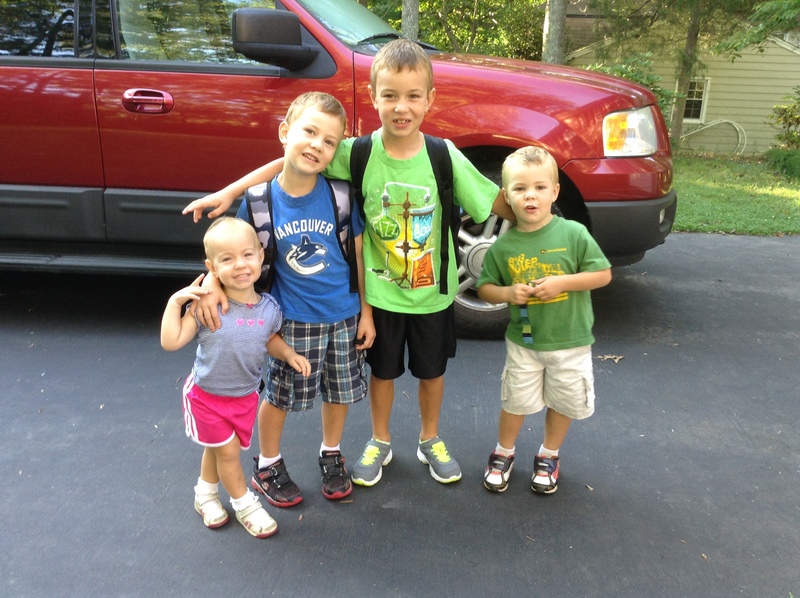 Several of my friends and I have grandchildren who have started kindergarten this year. As a former kindergarten teacher myself, I have been very interested in how their initiation into formal education has begun. I like PE the best. I like recess the best. My teacher is nice because she gives me books. I’m the teacher’s best helper. ____ can’t speak English so I am helping him. We are learning letters, but I already know them. I like math the best. I like library time best. The overwhelming response has been positive and I am so thankful. After all, at least 12 more years of schooling looms ahead for these kindergarteners! The most important issue is that each child has potential – potential in the Kingdom of God. We easily declare that all children have potential. The potential will not necessarily result in “success” by the standards of our current culture. Too often today success is measured by popularity, wealth and material possessions, or notoriety in athletics or entertainment. Jesus valued children because they demonstrated unconditional love, faith, and trust. Each child has potential to experience God’s unconditional love – most often through their parents. To help our children reach their God-given potential, God has placed them in our families to nurture and care for. We must demonstrate to them and for them our faith and trust in God and His word. We have no idea what lies ahead for our children. We do know that without a doubt there will be trials and difficult times ahead. Our children will suffer hurts and rejection. Our great potential is that we can become the children of God. 11 He came to his own people, and even they rejected him. 12 But to all who believed him and accepted him, he gave the right to become children of God. 13 They are reborn—not with a physical birth resulting from human passion or plan, but a birth that comes from God. God’s plan from the beginning was to bring us into relationship with himself. As parents we have the responsibility and privilege to share this highest of potentials with our children. May God empower us to fulfill this challenge. I am a spectator when it comes to sports. I have never been on a sports team in my life. One of my first “dates” with my husband was watching him play on a softball team. I sat in the stands – he played. 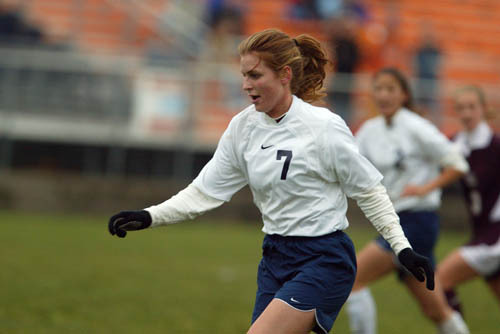 We have four children, all of whom played sports in high school and college – some more than others. Last weekend we watched two grandchildren play on their respective basketball teams. I have watched a LOT of ball games in my life and with grandchildren rapidly growing up, I can safely assume there will be many more games in the future. I enjoy watching games if I know the people playing. I am not an individual who will watch ANY sport or ANY team. I need some connection to make it interesting for me. I don’t want to be a spectator when it comes to being a part of the Body of Christ. In fact, God does not want any spectators when it comes to being a Christian. It is very plain in the Bible that God has called us into His family to participate with Him in building the Body of Christ. I want to participate fully in all that God has called me to do. God does not hold try outs – no one is cut from the team and we all get “playing time.” No one warms the bench in the Body of Christ. The one prerequisite is to be willing. Now you are the body of Christ, and each one of you is a part of it. 28 And God has placed in the church first of all apostles, second prophets, third teachers, then miracles, then gifts of healing, of helping, of guidance, and of different kinds of tongues. There are other lists of responsibilities in the body of Christ – but SPECTATOR is never listed. As the BIG GAME is played this weekend, and the VAST majority of us are spectators, remember – this is NOT our role as Christians. As we watch the players in the game, let it remind us that we have a part to play in something much more significant. I’ve been thinking lately about getting older. You have heard the phrase – “you are only as old as you feel”. When I got two Minion DVD’s for Christmas from grandsons, which by the way are really funny, I feel like one of the kids. Yet – I am still 63. The reality is that I have been 63 for a week now and I ain’t no spring chicken. I am the oldest (in age) faculty member at Smoky Mountain High School. We opened presents starting with the oldest first – which was ME. I got a senior discount when we went to see the Hobbit on Saturday night. I fall asleep when I sit down and start to read in the evenings…and afternoon. I was the last one up the hill on our family hike, but I enjoyed every minute. The flip side of this aging coin is that I was also one of the younger individuals around when we visited my parents at their retirement community the week before Christmas. My father is 90 and my mother is 86, so 63 was inconsequential. It is a blessing to see these neighbors of my parents and hear about the activities they are involved in. My father has taught 7 people how to turn wooden bowls this year and both parents traveled to Brazil in September to promote an English language system with which my mother volunteers. It seems as though the previous stages of my life where relatively clearly laid out. I went to school 13 years and graduated from high school. I went to college and got a degree and teaching certification. I got a job teaching. I was able to stay home with our young children. The children grew and I went to work part-time. Our children became college age and I went to work full-time. My active mothering role has ended – the children obtained jobs, some got married, some have their own children. The above list leaves out the essential dynamic of the purpose of all those things I have done in my 63 years… I desire to live my life to bring glory to God. In thinking about a New Year’s resolution, I realized that I did not need to think of something do to challenge myself to “improve”, “overcome something”, or “transform” my life. I need to be faithful in the things that God has already given me to do. Those of us who are older women have a clear mandate. I am so thankful for the faithful, godly women that have taught me over the years including my grandmothers, my mother, Sally Fesperman, Sue Makinson, Elizabeth Elliot and others. May we all be faithful to be an example to the younger women God brings into our lives in 2015. God Bless you! 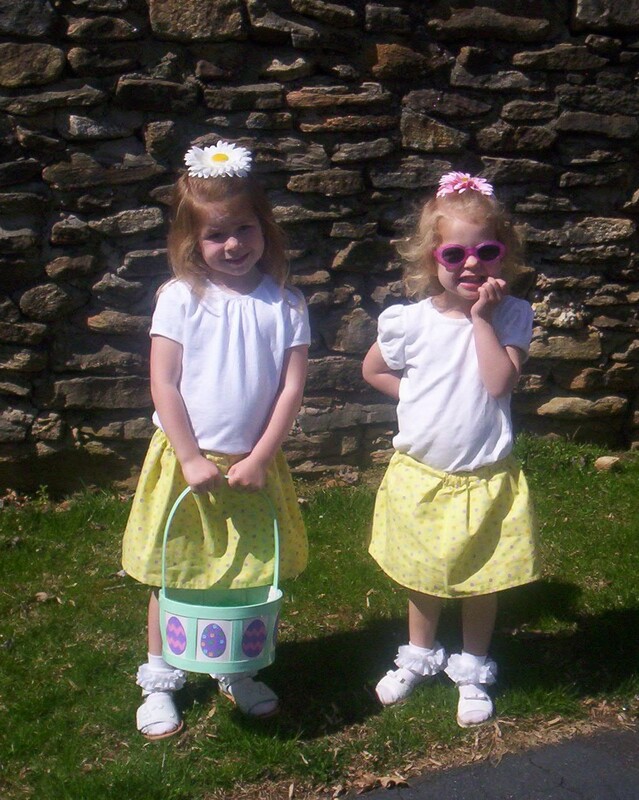 When I was little, one of the few times I received new clothes was right before Easter. (the other time was right before school started) Now sometimes these clothes were not brand new – just new to me, but I still was excited to get dressed up in special clothes. It gave me a feeling of something special happening. It wasn’t just about the clothes – it was the fact that a celebration was going to happen and I was dressed for it! Clothes do not make a celebration, but they do reflect an attitude. The following verses give glory to God our Father for what he has done for us, His children. What a beautiful picture of what God plans for us, His children! We will be like great oaks, planted for his glory. How can we communicate to our children that Easter is not about dressing up? God knows if what we wear is simply to get attention, show off, or make a statement that I don’t “need” to dress up. Each of us should search our own hearts and dress in such a way that will honor the Lord, doing the same for our young children. AM I CLOTHED IN HIS RIGHTEOUSNESS? That is what Easter is all about, Jesus dying to pay the debt for my sin, and raising to new life again so that I might have life! Whatever we choose to wear on Easter, may we all be clothed in salvation wearing the robe of his righteousness. Our grandson is right. When our grandchildren come, I am always so excited to see them. I hug them, give a few words of greeting, and then I often head for the kitchen to either start or put the finishing touches on the next meal. Someone has to do it….right? Yet in thinking about our grandson’s assessment of Nana’s involvement in his life, I realized that I am always busy. I am an active person. When we don’t have company I am generally working on an art project (or several) or sewing something by hand. I love to make things by hand! When I watch a movie or TV I am usually making something as I watch. I do handwork in the car when traveling. I also enjoy working in our yard pulling weeds, trimming plants, deadheading blooms, or just generally maintaining our flower beds. It occured to me that my “busyness” was more of a habit than a necessity. Yes, meals must be made and bathrooms cleaned, but I don’t need to do other things when our children and grandchildren come to visit. I need to focus more on THEM. Our grandchildren LOVE playing with Pop because he gives them his undivided attention – well mostly. 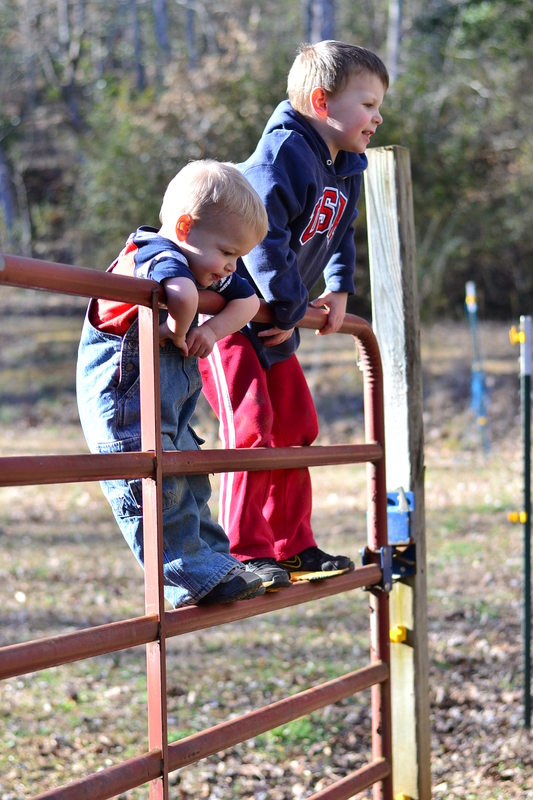 (he has been known to fix something or other at the barn when he takes them down there or pull a weed or two from the garden) Pop does most of what they ask so they enjoy being with him and it is certainly mutual. It is not an issue of competiton for the attention of our grandchildren. We currently have 11 grandchildren so there are plenty of opportunities to spread the love around. I enjoy the fact that these grandchildren love being with their “Pop”. The issue is that I was hurt by the honest assessment of our grandson because it pointed out to me what I was missing. 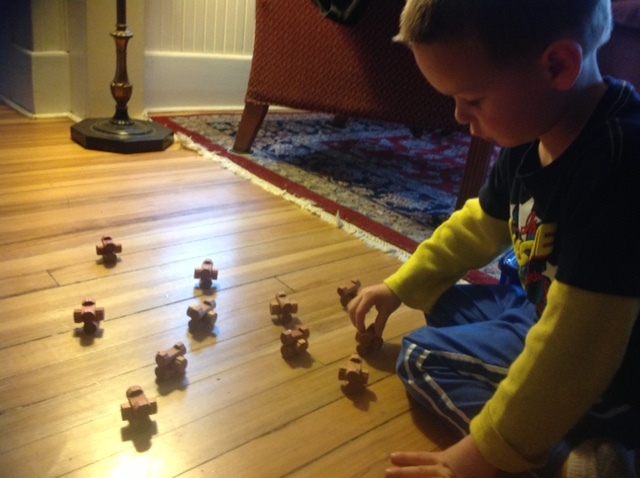 Our grandchildren will remember playing with Pop….and they will remember Nana being busy. The Amplified Bible says – “40 But Martha [overly occupied and too busy] was distracted with much serving”. Does that sound like me? YES! Jesus says to Martha – there is only one thing worth being concerned about – Mary has discovered it. Mary was sitting at the feet of Jesus – spending time with Him. Jesus indicates here that He is not all that impressed with our “busyness” – the stuff we are supposedly doing for Him. He wants us to fellowship with Him – to sit at His feet. As God’s children we MUST choose that ONE THING – being with Jesus. I am making a committment to be more intentional about the time I spend with our grandchildren. I want to focus on THEM – and not just be busy. God wants relationship with me – He is not impressed with what I “do” for Him. He wants me to sit at His feet. Our grandchildren want our time – more than a clean house, weeded flower beds or homemade cookies.